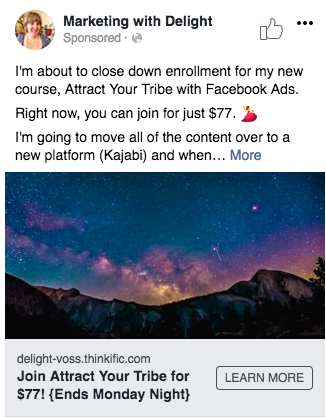 Check out some of my Facebook ads success stories! You'll see some ads that I've run to make sales for clients and others that I've run to build email lists. Under each screen shot, I share the results of the campaign.